Artist: MFSB. The cover and contents suffer from folding, scuffing of edges, spine splits, discolouration etc. Catalogue Number: ZS83663. the sound, which is why we play testall of our records. So you know the sound quality of the record you're getting, not just what it looks like. 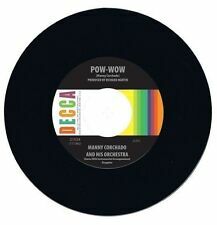 Very Good (VG) VG records have more obvious flaws than their counterparts in better shape. They lack most of the original gloss found on factory-fresh records. Groove wear is evident on sight, as are light scratches deep enough to feel with a fingernail. Artist: The Butterflies Of Love. A: Close To Death. Catalogue Number: NONE. the sound, which is why we play testall of our records. So you know the sound quality of the record you're getting, not just what it looks like. Diane Lewis Without Your Love. Diane Lewis. 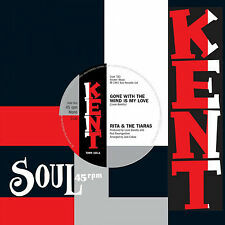 Northern Soul Reissue. Giving Up Your love. New & Unplayed. LONELY SOLDIER. MIKE WILLIAMS. US ATLANTIC RECORDS. first issued 1966, this may be a later repress, difficult to identify. The sleeve/jacket could have minor creasing and/or signs of storage wear/discoloration, particularly on the back. Artist: Red Steagall. Catalogue Number: 3562. the sound, which is why we play testall of our records. So you know the sound quality of the record you're getting, not just what it looks like. This is why our gradings may be a little lower than our competitors - we don't simply inspect the record, but we listen to each and every one so you know the sound quality of the record - which is what really matters. A: Your Love Is So Def. Artist: Full Force. Catalogue Number: 38-07920. the sound, which is why we play testall of our records. So you know the sound quality of the record you're getting, not just what it looks like. Artist: The Twins. A: Not The Loving Kind. Catalogue Number: IS20281. the sound, which is why we play testall of our records. So you know the sound quality of the record you're getting, not just what it looks like. Artist: Powerplay. A: Love Can Break Your Heart. the sound, which is why we play testall of our records. So you know the sound quality of the record you're getting, not just what it looks like. Catalogue Number: CBSA1077. Artist: Slim Whitman. Catalogue Number: XW139. A: Secret Love. the sound, which is why we play testall of our records. So you know the sound quality of the record you're getting, not just what it looks like. Artist: Huey Lewis And The News. Catalogue Number: VS442876. B: Bad Is Bad. the sound, which is why we play testall of our records. So you know the sound quality of the record you're getting, not just what it looks like. Little Ben & The Cheers Brown Eye'd Devil / Beggar Of Love US Rush Records - 601 - 1968. Play graded: Both sides play out - VG . All photos are of the actual record for sale. SHERRY c/w GOD LOVES ITTLE GIRLS. THE KEANE BROTHERS. 20th CENTURY RECORDS. TC 2302 Issued 1976 in US. The sleeve/jacket could have minor creasing and/or signs of storage wear/discoloration, particularly on the back. Catalogue Number: 6584557. the sound, which is why we play testall of our records. So you know the sound quality of the record you're getting, not just what it looks like. This is why our gradings may be a little lower than our competitors - we don't simply inspect the record, but we listen to each and every one so you know the sound quality of the record - which is what really matters. Artist: Luisa Fernandez. A: Lay Love On You. Catalogue Number: 45-1698. the sound, which is why we play testall of our records. So you know the sound quality of the record you're getting, not just what it looks like. Artist: Nick Berry. The cover and contents suffer from folding, scuffing of edges, spine splits, discolouration etc. Catalogue Number: 6587597. the sound, which is why we play testall of our records. B: Love Conquers Nothing. Artist: Keith Carradine. Catalogue Number: W13109. the sound, which is why we play testall of our records. So you know the sound quality of the record you're getting, not just what it looks like. Play graded: Both sides play out - EX. All photos are of the actual record for sale. Artist: Daryl Hall & John Oates. Catalogue Number: PB-13970. the sound, which is why we play testall of our records. So you know the sound quality of the record you're getting, not just what it looks like. Artist: Dynasty. A: I've Just Begun To Love You. Catalogue Number: YB-12021. the sound, which is why we play testall of our records. So you know the sound quality of the record you're getting, not just what it looks like. Artist: Kitty And The Haywoods. A: Love Shock. Catalogue Number: 73931. the sound, which is why we play testall of our records. So you know the sound quality of the record you're getting, not just what it looks like. Artist: Jenny Morris. A: She Has To Be Loved. The cover and contents suffer from folding, scuffing of edges, spine splits, discolouration etc. Catalogue Number: YZ462. the sound, which is why we play testall of our records. Artist: Gavin Christopher. Catalogue Number: B-50108. the sound, which is why we play testall of our records. So you know the sound quality of the record you're getting, not just what it looks like. Artist: Maribelle. Catalogue Number: ARI8375. the sound, which is why we play testall of our records. So you know the sound quality of the record you're getting, not just what it looks like. This is why our gradings may be a little lower than our competitors - we don't simply inspect the record, but we listen to each and every one so you know the sound quality of the record - which is what really matters. ARTIST: KARYN WHITE. A SIDE: LOVE SAW IT. B SIDE: LANGUAGE OF LOVE. Plain white sleeve. ENDLESS MUSIC. SPANISH POYDOR in RARE PICTURE SLEEVE. PUSHBIKE SONG c/w WHO LOVES YA?. THE MIXTURES. the record will show significant signs of having been 'well played', it will show surface scratches and/or scuffs but will still play nicely without too much background noise. Dexys Midnight Runners. Artist Dexys Midnight Runners. Release Year 1980. Genre Rock. One Way Love. Keep it Part Two /. Record Size 7". Record Label EMI. Catalogue Number: 6108. the sound, which is why we play testall of our records. So you know the sound quality of the record you're getting, not just what it looks like. This is why our gradings may be a little lower than our competitors - we don't simply inspect the record, but we listen to each and every one so you know the sound quality of the record - which is what really matters. Artist: The Jacksons. A: Lovely One. Catalogue Number: 9-50938. the sound, which is why we play testall of our records. So you know the sound quality of the record you're getting, not just what it looks like. A: Try Jah Love. Catalogue Number: 18-02744. the sound, which is why we play testall of our records. So you know the sound quality of the record you're getting, not just what it looks like. This is why our gradings may be a little lower than our competitors - we don't simply inspect the record, but we listen to each and every one so you know the sound quality of the record - which is what really matters. Artist: Gloria Hunniford & Adrian Love. A: Pudsey's Picnic (Teddy Bears' Picnic). B: Teddy Bears' Picnic. Catalogue Number: PT584. the sound, which is why we play testall of our records. So you know the sound quality of the record you're getting, not just what it looks like. Artist: Anita Harris. A: Just Loving You. Catalogue Number: 4-44236. the sound, which is why we play testall of our records. So you know the sound quality of the record you're getting, not just what it looks like. A: Love's Made A Fool Of You. Artist: Matchbox. Catalogue Number: 6.13188. the sound, which is why we play testall of our records. So you know the sound quality of the record you're getting, not just what it looks like. A: When You're In Love With A Beautiful Woman. Artist: Dr. Hook. Catalogue Number: 4705. the sound, which is why we play testall of our records. So you know the sound quality of the record you're getting, not just what it looks like. Artist: Manhattan Transfer. The cover and contents suffer from folding, scuffing of edges, spine splits, discolouration etc. the sound, which is why we play testall of our records. So you know the sound quality of the record you're getting, not just what it looks like. Catalogue Number: 6573207. the sound, which is why we play testall of our records. So you know the sound quality of the record you're getting, not just what it looks like. Record Grading: Ex-. This is why our gradings may be a little lower than our competitors - we don't simply inspect the record, but we listen to each and every one so you know the sound quality of the record - which is what really matters. Artist: Ray Parker Jr. A: I Still Can't Get Over Loving You. The cover and contents suffer from folding, scuffing of edges, spine splits, discolouration etc. Catalogue Number: AS1-9116. the sound, which is why we play testall of our records. A: Love Don't Make It Right (Edit). the sound, which is why we play testall of our records. So you know the sound quality of the record you're getting, not just what it looks like. The cover and contents suffer from folding, scuffing of edges, spine splits, discolouration etc. Play graded: Both sides play out - VG . All photos are of the actual record for sale. Artist: The Righteous Brothers. A: You've Lost That Loving Feeling. B: (You're My) Soul And Inspiration. the sound, which is why we play testall of our records. So you know the sound quality of the record you're getting, not just what it looks like. The cover and contents suffer from folding, scuffing of edges, spine splits, discolouration etc. the sound, which is why we play testall of our records. So you know the sound quality of the record you're getting, not just what it looks like. Catalogue Number: AS1-9626. the sound, which is why we play testall of our records. So you know the sound quality of the record you're getting, not just what it looks like. A: Love Changes. This is why our gradings may be a little lower than our competitors - we don't simply inspect the record, but we listen to each and every one so you know the sound quality of the record - which is what really matters. Artist: The Partridge Family. A: Looking Through The Eyes Of Love. Catalogue Number: 45,301. the sound, which is why we play testall of our records. So you know the sound quality of the record you're getting, not just what it looks like. The Mojo Men - Don't Leave Me Crying Like Before /Sit Down I Think I Love You 7"